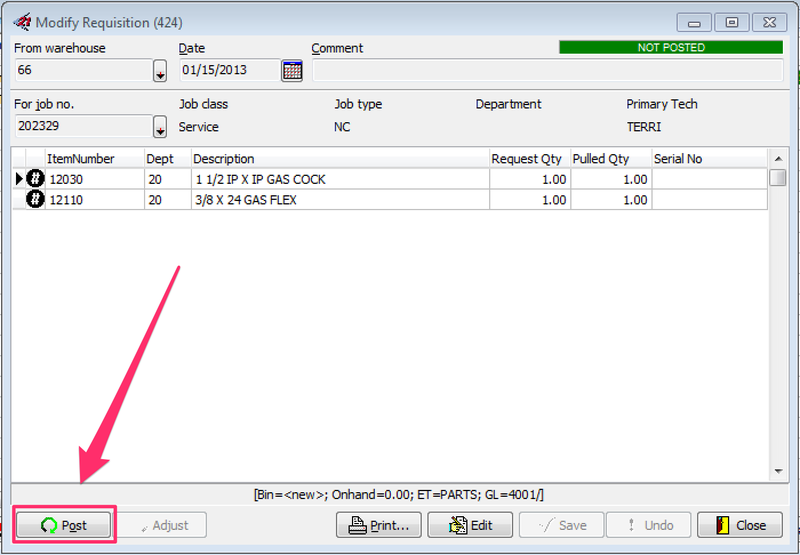 How do I post a material requisition that was created by a technician out in the field? 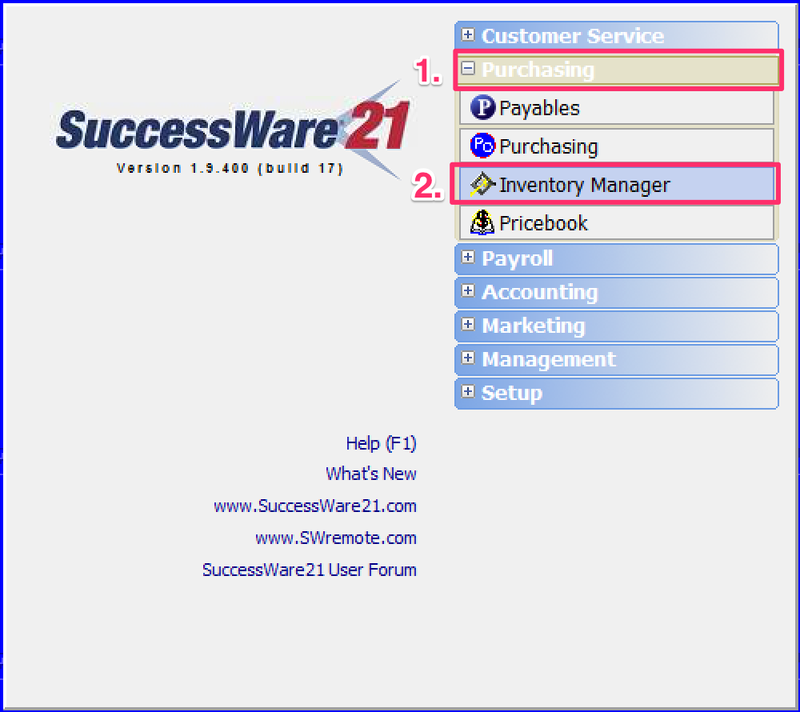 Open the Inventory Manager in SuccessWare21. 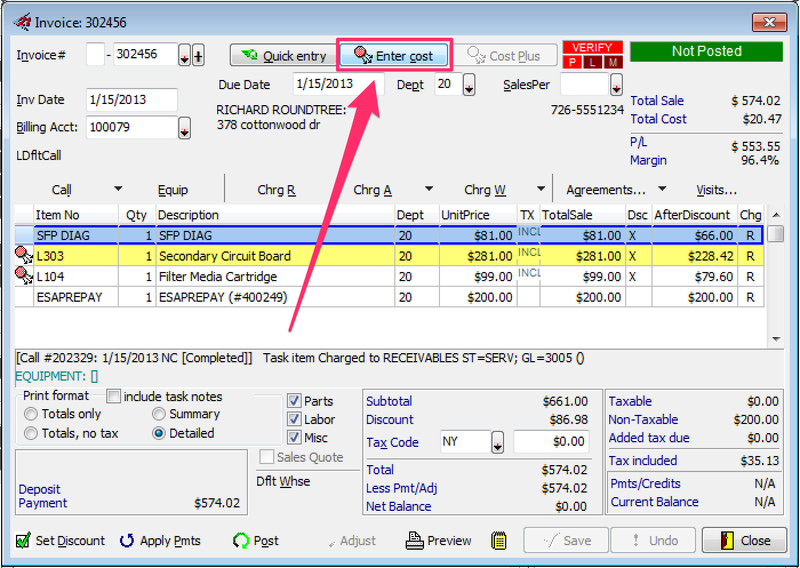 Once that is complete, click on the job and press F10 to bring up the invoice. Check off all of the items and click OK. You should now see an updated job cost.